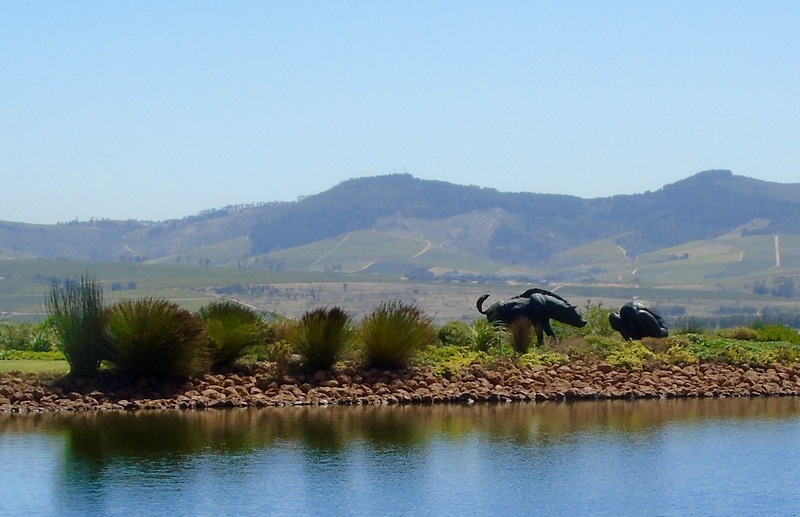 Today we’re heading just outside Somerset West to Cavalli. 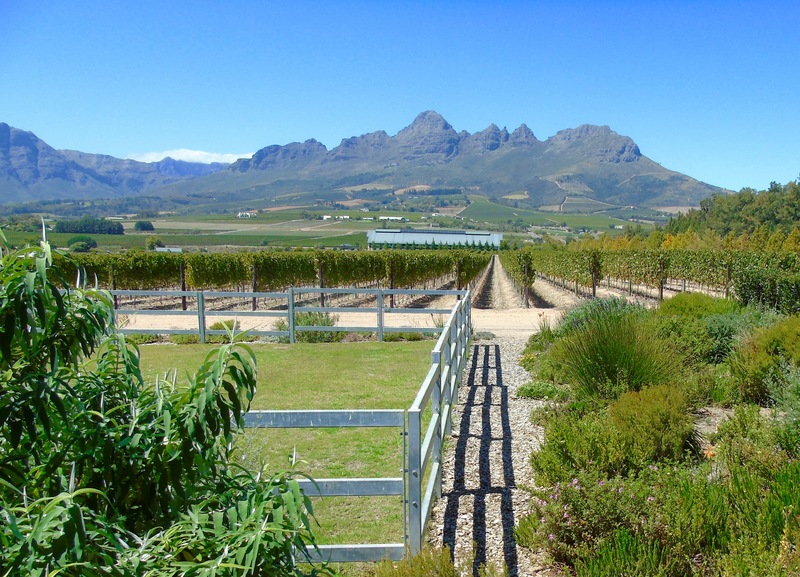 Set on a hill with stunning views of Cape Town and the majestic Helderberg mountains, it’s a working farm with an olive grove, lavender fields, vineyards and citrus trees. It’s also home to the Cavalli Stud (it means horses in Italian) – the family breed and train world-class Saddlebred horses. It’s a sprawlingly beautiful property in shades of green all enclosed with white picket fences – there’s definitely a touch of the Southforks here. The restaurant was recently awarded the Great Wine Capitals Best of Wine Tourism award for architecture and landscapes in Bilbao. It’s certainly a striking, contemporary building which uses a Geo-exchange system – using the dam to heat and cool, solar energy and a waste water treatment plant to recycle 93% of the estate’s water. Because of all these amazing environmental incentives it’s been named the first Green-star rated restaurant in South Africa. Cavalli describe their food as “everyday gourmet”. 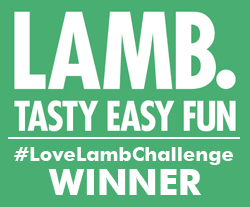 They grow their own seasonal herbs and a wide range of vegetables and stress the importance of using local and sustainable ingredients. A lot of thought has gone into the combinations in dishes, the colours, textures and flavours – consequently you’re served plates of beautifully plated food packed with taste. I love carpaccio – therefore it is one of my most-ordered starters. Today’s was a particularly spectacular example. 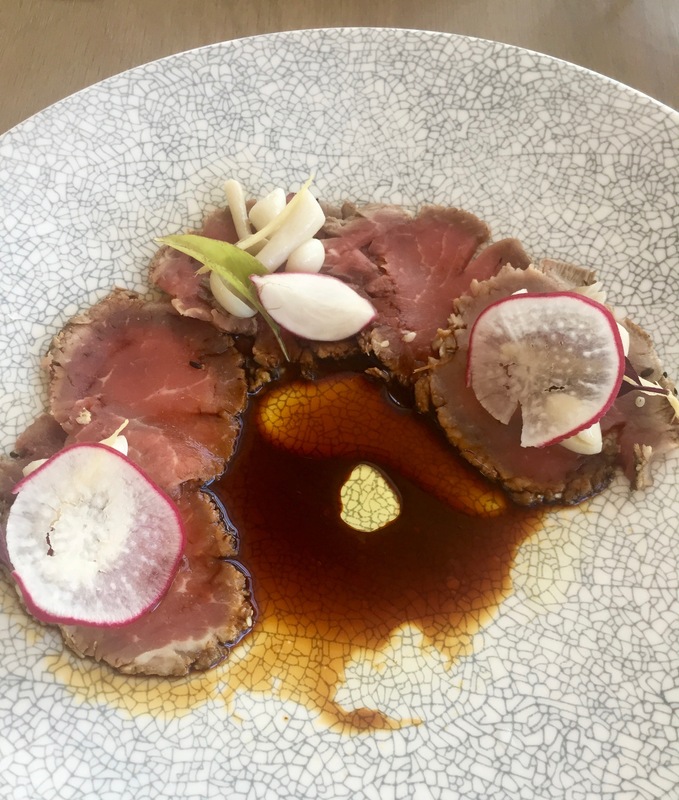 The beef was seared and served with shaved radish, ginger soy dressing, pickled shimeji and Thai basil. Tender, flavoursome meat with crunchy, zesty toppings and a wonderful light dressing that really brought all the ingredients to life. 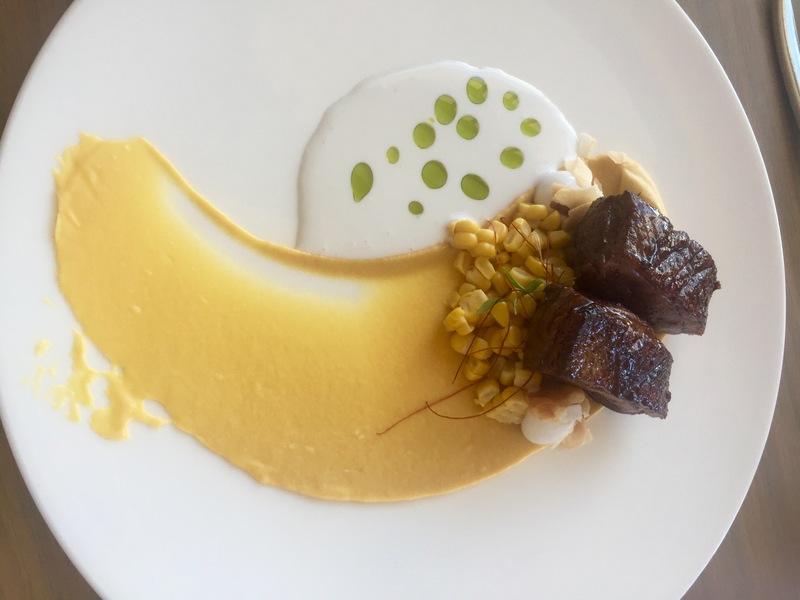 The glazed duck breast was served with mango puree, sweetcorn salsa, nam prik and a coconut reduction. Duck, mango and coconut make for a wonderfully refreshing combination. 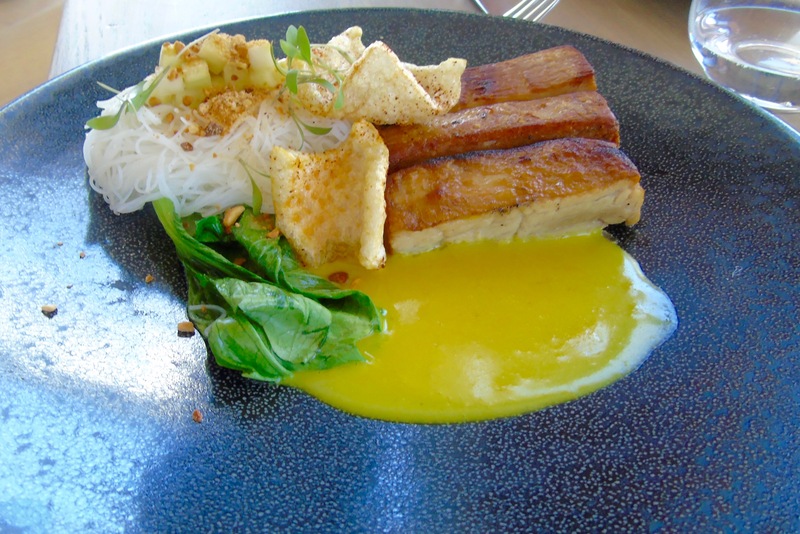 And of course we had to sample the pork belly – I’m still trying to taste every pork belly dish in the Cape, but think it’s a massive and intimidating goal – even for me! It seems like there’s a version on every restaurant’s menu. This was acorn-fed and served with nam jim vermicelli, bok choi, laksa sauce and roasted peanuts. My choice today was the fish dish – probably one of the nicest I’ve had this year as it turns out. 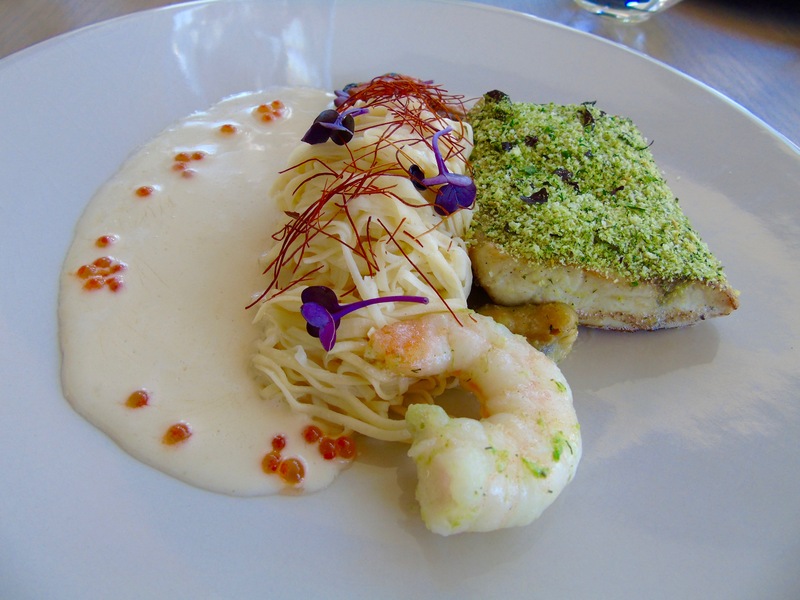 The seaweed-crusted line fish (sea bass) was served with butter-poached prawns and mussels, chilli tagliolini and sauce nacional. The sea bass was wonderfully sweet with a crunchy topping and the seafood melted in my mouth. And the little pile of noodles were perfect to help mop up the creamy, buttery sauce. 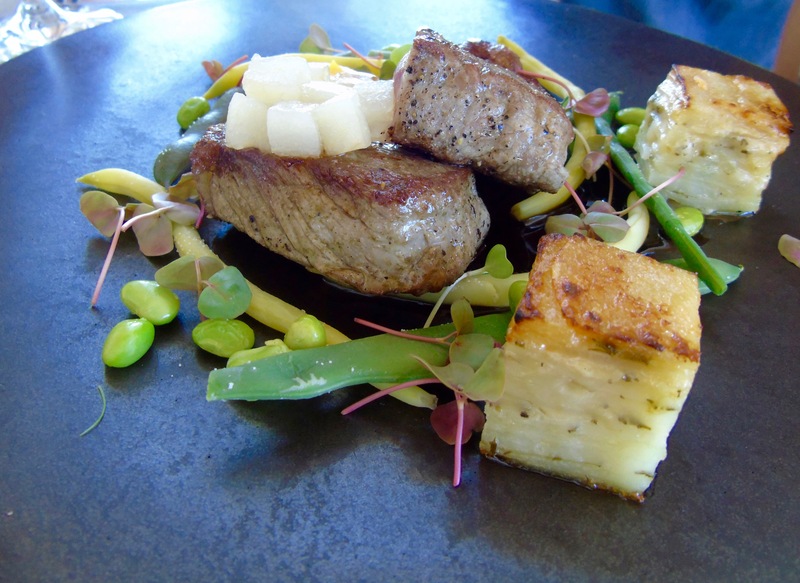 The grass-fed beef sirloin was served with estate beans, gem squash emulsion, pear chutney and potato dauphinoise. A delicious work of art on a plate. A lot of the dishes clearly have an Asian influence which I loved. And you could really taste the freshness of all the ingredients. And then there’s the views! Vines, mountains, farmland, fynbos, wildflowers and blue, blue sky. 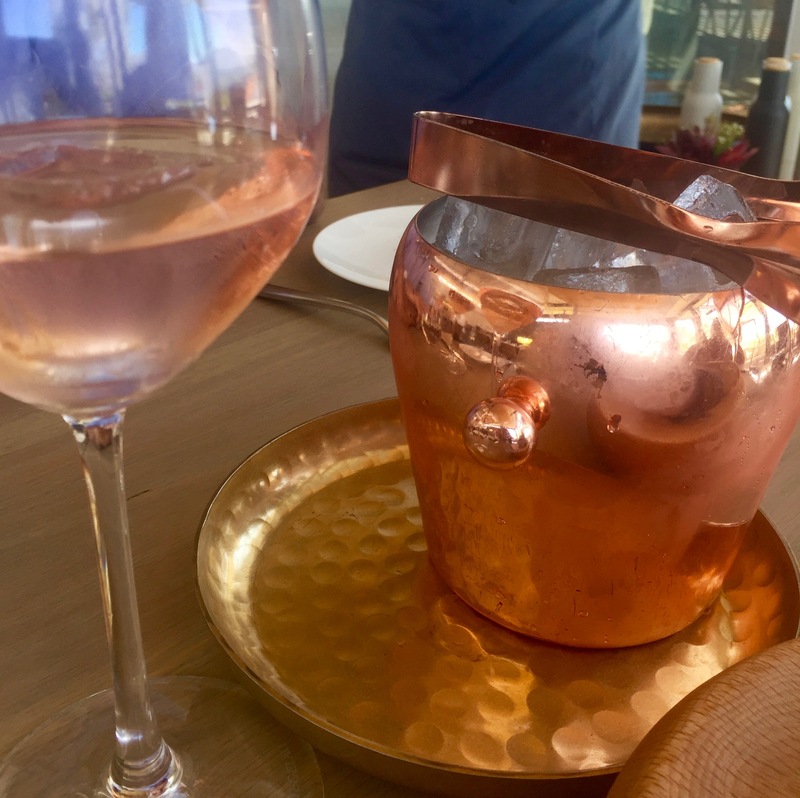 And I really loved the rose-gold ice bucket which perfectly matched our lovely bottle of Rose. It seems like Cavalli certainly does everything with style. In addition to the fabulous food, Cavalli is also worth a visit for their art on exhibit and fabulous wine tasting area. We paid R955 (£60 at today’s exchange rate) for lunch for four (two starters and four main courses). There’s also an amazing wine list with a huge range on offer, including a selection from Europe if you feel like pushing the boat out. Whites and roses start from R125 (£8) a bottle, reds from R135 (£8.50). Cavalli is just off the R44 between Stellenbosch and Somerset West.